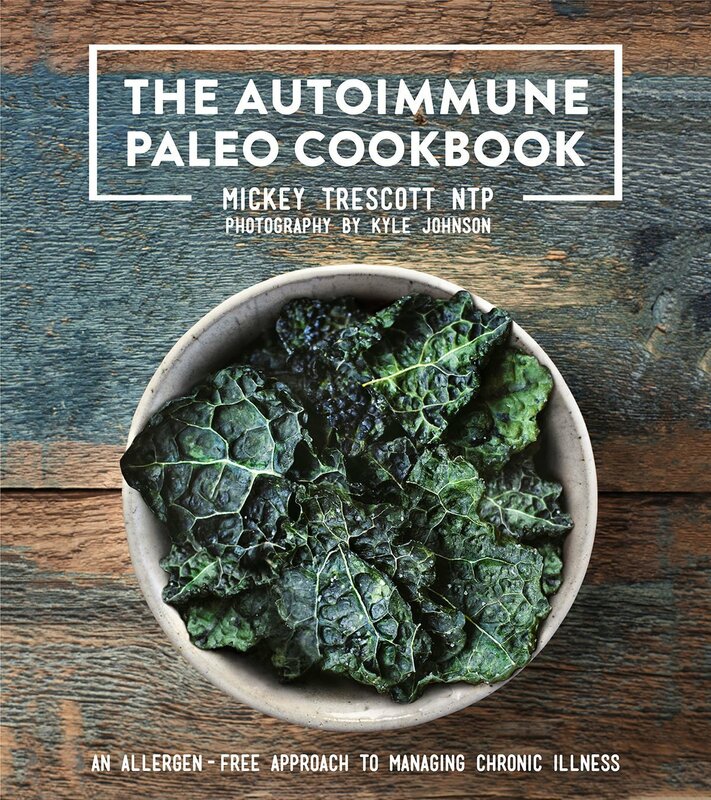 Mickey Trescott is a personal chef with celiac and Hashimoto's. 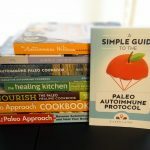 She healed herself through the Paleo Autoimmune Protocol and was the first to create a cookbook, to help others do the same. First came her ebook (you can read my review here). Now, that amazing resource has been updated and printed in hardcover. These are NOT recipes that leave you feeling deprived. 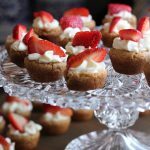 They are simple, delicious, and will please anyone, whether they are on the autoimmune protocol or not. What's The Difference Between the Ebook and the Hardcover? I love both versions of this book. The ebook is portable, which means you can bring it with you on vacations to visit friends or family, and have all the recipes you need to maintain your health away from home. The hardcover is beautiful enough to be a coffee table book, and especially nice for anyone who likes to hold their books in their hands and physically turn the pages. The ebook was published in 2013. The hardcover was published in 2014. Both books include over 100 recipes, covering every category from appetizers to desserts. Both include shopping lists and meal plans, making the autoimmune protocol much easier to follow. 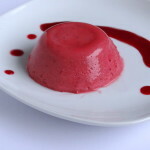 I've made a number of recipes from the ebook over the past year, and never been disappointed. Mickey even has a recipe for Beef Bacon Liver Pate that got me to like beef liver (a task I would have thought impossible)! The hardcover book has 10 new recipes which aren't included in the ebook version: Nomato Sauce, “Spaghetti” and Meatballs, Salmon Chowder, Curried Chicken and Vegetable Soup, Cornish Hens, Orange-Rosemary Duck, Lamb Patties, Apple-Cranberry Crumble and Pear-Caramel Pie. 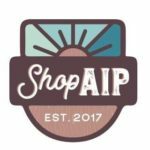 It also has a new section on choosing nutrient-dense foods, and reintroducing foods after the elimination period of the AIP. Update: 3 recipes in this cookbook feature green beans, which are no longer allowed on the autoimmune protocol. 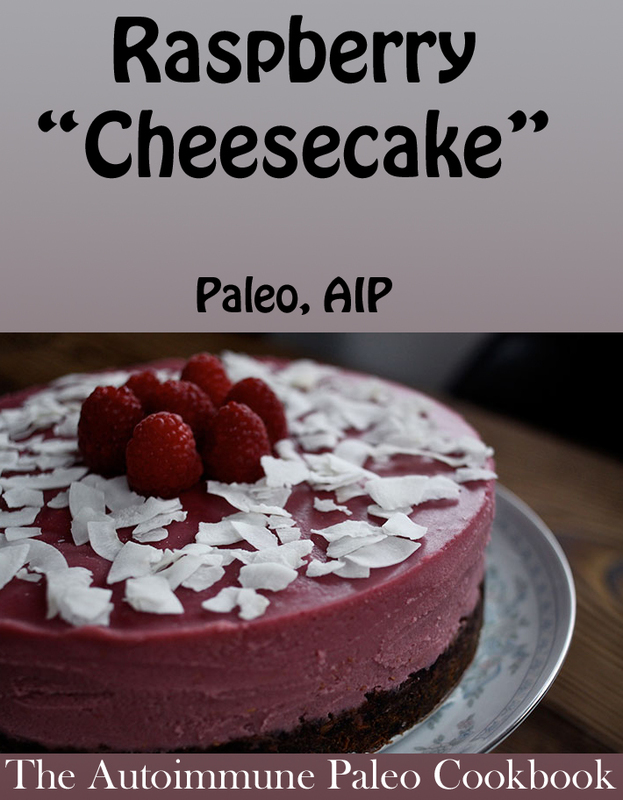 This is because this cookbook came out prior to the publication of The Paleo Approach (which formalized the protocol restrictions). Green beans are now considered a Stage 1 Reintroduction. Just substitute another AIP-friendly vegetable (like broccoli) in those recipes. Right now, the hardcover book is only available through Amazon, and the first print run sold out in two weeks. This is a very unique resource, and the need is great. Mickey tells me the second print run is in the works, and the books should be re-stocked by the first week in May. If you want to make sure you get a copy before they sell out again, you can pre-order, and Amazon guarantees you the lowest price. If you don't want to wait, the ebook is available now. This book is now available in Spanish, German, and an English Metric version! In my review of the ebook, I shared Mickey's recipe for Coconut Crusted Cod with Mango Salsa. If you haven't tried it yet, it's delicious! Today, I'm sharing one of Mickey's famous desserts. Place the jars of coconut oil, coconut butter and raw honey in a pan with very hot water in order to let them soften. 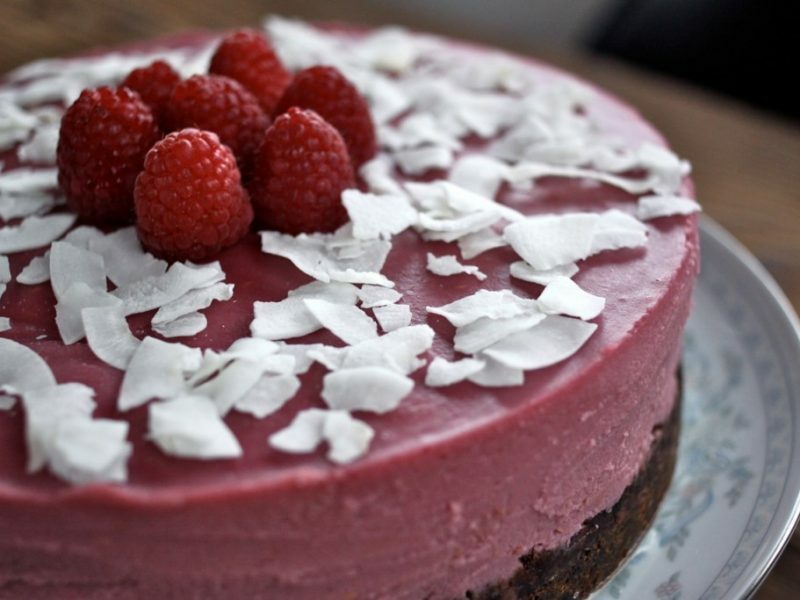 To make the filling, combine the raw honey, coconut butter, coconut oil, and frozen raspberries in a saucepan on low heat. Stir until the raspberries are no longer frozen and the mixture is warm, about 5 minutes. Transfer to a blender and add the tapioca starch, vanilla extract, and salt. Blend on high for about a minute, until completely mixed. Pour carefully into the spring-form pan on top of the crust.